• Unique and elegant, this pair of earrings is made from a stylish combination of real 24 karat gold and natural white rose petals. • Featuring a classic leaf-themed design. 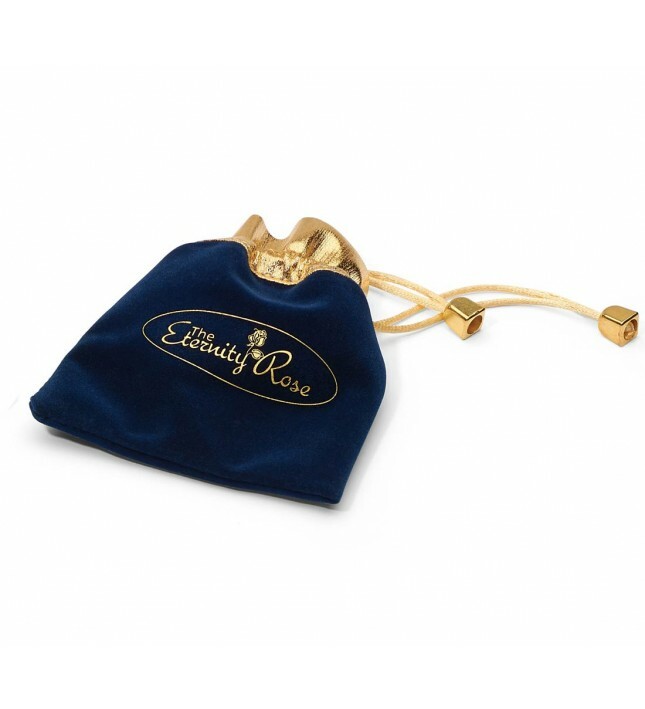 • Each pair of earrings is enclosed in a pouch of navy-blue velvet with stylish gold silk braid detailing. • An authenticity certificate is included. • A lifetime guarantee is provided with every intricately detailed piece of jewellery. 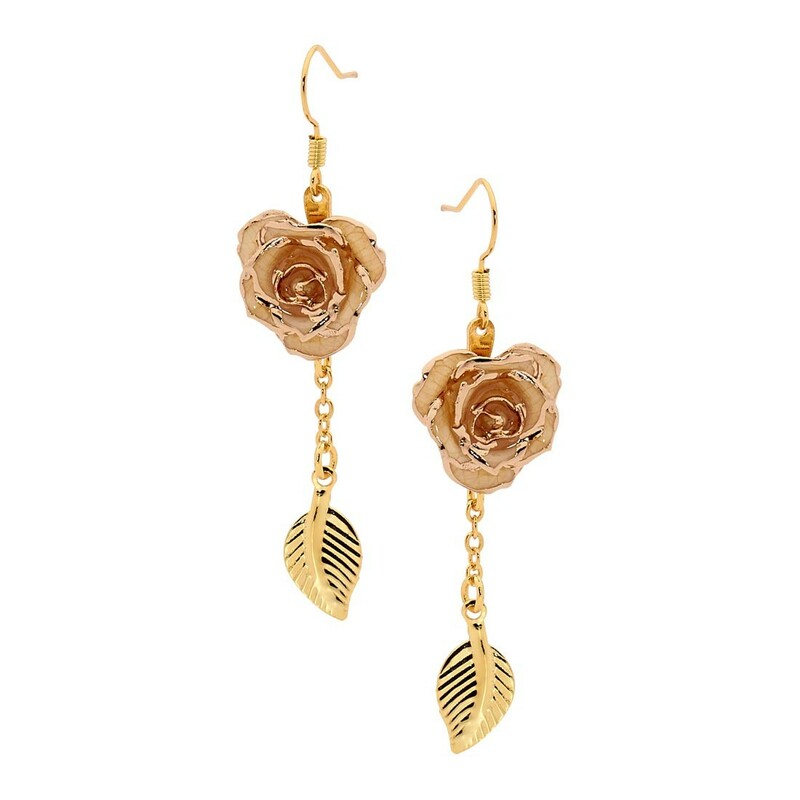 Made from exquisite 24 karat gold and miniature white rose petals crafted by hand, the drop of these beautiful earrings measures 1 5/8" and each one features a stylish gold leaf figurine, with the miniature rose head measuring around half an inch. Every pair comes presented in a robust yet sleek navy-blue pouch with gold silk braiding trim and drawstring. Quality is paramount, and therefore we always rigorously test our products to ensure the highest standards. Our expert craftsmen are skilled at the plating, gold-trimming, and glazing processes required for these magnificent works of art. Every pair of earrings is crafted by hand and is entirely unique, so it is no wonder that these designs are unrivalled and include a lifetime warranty thanks to the quality checks which are among the most rigorous in Europe. If the love of your life appreciates fine jewellery together with the timeless beauty of nature, she is sure to love the eternal splendour of a pair of Eternity Rose glazed rose earrings. These handcrafted works of art combine the best of art and jewels to make a stunning gift. We also have available a range of similar earrings featuring synthetic diamond detailing in a ring shape with classic appeal.